A look inside the tired twilight of the troubles in Northern Ireland, The Boxer is a fictional story of one man caught in the shifting political and paramilitary sands. 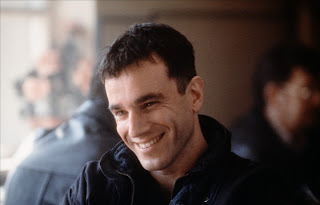 The third collaboration between Daniel Day-Lewis and Jim Sheridan yields a powerful drama, if hampered somewhat by an accent barrier and the overall opaque nature of the conflict. After serving 14 years in prison, Danny Flynn (Day-Lewis) is released back into a fractured Belfast. Still only 32, his crime is never fully fully revealed, but involved participating in an Irish Republican Army (IRA) operation under the leadership of local commander Harry (Gerard McSorley). Although he has the opportunity to relocate to England, Flynn decides to stay in Belfast, eschew politics, and focus on reviving his boxing career. He teams up with friend and trainer Ike (Ken Stott), and they re-open a non-sectarian training gym. Flynn also reconnects with his old flame Maggie (Emily Watson), although she is now married to another still-imprisoned IRA operative, and she has to be seen to remain loyal. Maggie's father Joe Hamill (Brian Cox) is a senior figure in the Republican cause involved in negotiating an end to the troubles. Although a deal appears tantalizingly close, it is not yet final. Harry does not agree with the peace process, causing a rift between him and Joe. Harry is also unhappy with Danny's attempts to foster non-sectarian relations and the increasing heat emanating from Danny's rekindled relationship with Maggie. The Boxer is not necessarily an easy film to watch. The Irish accents are only slightly tempered, creating a hurdle in understanding a talk-heavy narrative in which most of the characters already speak in the hushed tones of a city simmering with unconcealed resentment. And the script, co-written by Sheridan, assumes a basic understanding of not only the background of the Irish troubles, but also the fractured politics of factions within the IRA heading to a stand-off as the possibility of peace approaches. Within these constraints, the human drama is commanding. Danny, Joe and Harry represent the three points of the Republican triangle, Danny wanting to get on with life, Joe trying to create a context for a new future, and Harry eager to continue the violent struggle. The tension between the three increases in delicate increments as realization grows that their individual objectives may be mutually exclusive. There is a continuous current of dread running underneath each man's actions, Danny risking his life in pursuit of normalcy and to regain Maggie's love, Joe hoping that men who have sacrificed everything will march with him from war to peace, and Harry convinced that the British understand only the language of violence. The performances are uniformly excellent, Day-Lewis, Cox, and McSorley continuously eyeing each other to determine the depth of allegiance and to which cause, where any miscalculation could mean death. Ken Stott adds unbridled natural passion for boxing as a way out for children of the troubles, and throws in undisguised disgust at the futility of violence. Emily Watson as Maggie walks the tightrope between falling in love with Danny all over again and remaining faithful to the role of stoic prisoner's wife. In the relatively brief outdoor scenes, Sheridan recreates a Belfast buckling under the weight of a decades-long conflict. A divided city filled with watching eyes and watchful soldiers, populated by angry men, widows, wives of prisoners, grieving parents, and children growing up without fathers, where everyone has reasons to fear and better reasons to hate. All walls are covered with sectarian graffiti, and the sound of deadly explosions causes only the briefest of pauses among the exhausted population. The Boxer has blood inside and outside the ring, brutality reigning everywhere Danny turns, but at least the rules of his chosen sport are clear. In the chaos of his city, death follows no logic except to widen the spiral of violence.